Tablets are quickly dominating the mobile computer market and becoming a hotter commodity even than full laptops. If you’re looking to pick up a new mobile device, you’re probably wondering — what is the best Android tablet? Luckily you don’t need to spend hours researching all the options, because we’ve covered all that hard work for you already! After sifting through hundreds of options from every manufacturer, we’ve come up with the 8 best overall picks for any kind of user. Whether you need a budget Android pick, the fastest and most powerful option, or even just need a high quality screen for reading eBooks, we’ve got you covered. Let’s get started comparing all the best models so you can make a confident buying decision! Jan 24th, 2019 by Ty Arthur: With this update in the new year, we’ve completely redesigned our review system so all the most critical information is seen first. With 8 brand new picks, you should easily find the perfect Android tablet to meet your needs! Prefer your portable tablets to be big and beautiful? If you want a larger unit above 10 inches, the Tab S4 is the best large Android tablet on the market — especially if you want a keyboard cover! You don’t have to pick a tiny 7 inch device if you want a tablet. In fact, some tablets are now fully replacing laptops altogether. That’s what the Galaxy S4 aims for — giving you both a tablet and a laptop in the same experience. With the keyboard cover and DeX mode, you get the best of both worlds. The included S pen also gives you the feel of a full iPad Pro while still sticking with Android. Between the facial recognition feature and high battery life, the S4 has something to offer for any kind of user. Not super excited by the exceedingly high price? You can save yourself over $150 by tweaking a few options at checkout. The price becomes more manageable if you ditch the keyboard and drop from 256GB to 64GB of internal storage. Are you mostly reading eBooks through apps like Kindle or constantly browsing work PDFs and Word files? 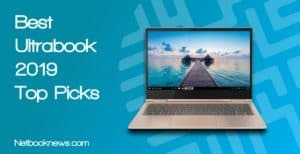 For the avid readers out there, the Yoga Book is the best Android tablet for reading on the market. When looking for a reading tablet, your main focus should be on screen quality and comfortable design. 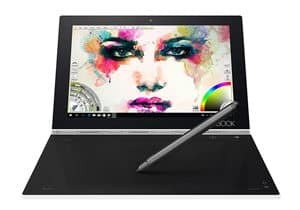 That’s what you get with the YogaBook, whether you prefer a good mystery novel, want to keep your D&D collection fully digital, or just read a lot of PDFs. With the 360 degree hinge, you can position the tablet into whatever shape matches your preferred reading experience. Want to hold it like a folded back book, set it flat in your lap, or prop it up at an angle to set on the desk? Any of those are easy to attain with a little change to the hinge configuration. 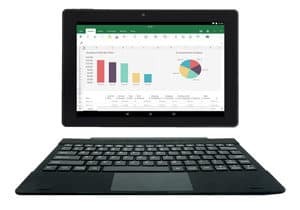 Since this device is 10.1 inches, Microsoft lets you edit Office docs for free via their Android app as well. That can be a huge plus if you frequently edit or read Word files. Want something a little smaller so it feels more like the size of a paperback in your hands? The Fire HD 8 is an excellent choice as well, and it’s available for less than half the price! Note that it features Amazon’s Fire OS rather than the full Android OS, however. Want a versatile portable device that isn’t super expensive but is still thin and light? 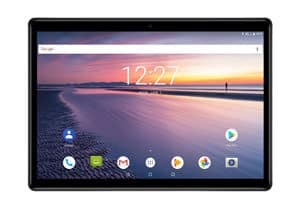 This Chuwi Pro model is one of the lightest Android tablets available — and at a very nice price as well! Usually, an ultra thin and light device means either getting slower speeds, or paying a much, much higher price. With the Chuwi USA Pro, you can find a decent midway point between size, specs, and price. At well under a pound and with an 8” screen, this is very comfortable tablet to hold in either one or two hands. While this is a full Android tablet, you don’t have to give up Windows either! That’s right, this model has a dual boot OS option. That means you can switch between Android or Windows at the touch of a button depending on what apps you need to use! At just over $100, this is easily one of the most versatile lightweight budget models out there. Like the idea of a fast tablet for light online tasks but don’t want all the extra third party apps? For a completely clean OS, Simbans has the best stock Android tablet available right now. 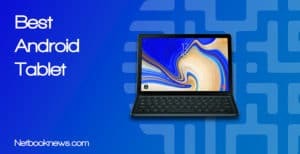 Just like with Windows laptops, tablet manufacturers tend to insert their own OS tweaks and extra apps — especially with budget models. Unfortunately, that can slow down your overall experience as Android gets bloated with extra features it doesn’t need. If you want a “stock” Android experience with just the base OS and nothing extra, this is the model to buy. With absolutely no third party tools pre-installed, you get blazing fast speeds at a very reasonable price. 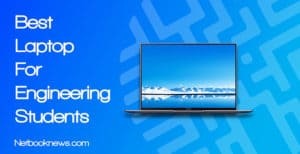 Unfortunately the screen quality isn’t quite full HD — so you won’t get crystal clear 1080p streaming — but the lack of bloatware more than makes up for the trade off. Are speed, performance, and visual quality your top concerns when buying a tablet? 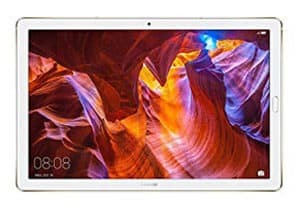 Chuwi’s Hi9 Air is one of the fastest Android tablets available and should be on the top of your list. With this combo of RAM, CPU, and high end display, the Hi9 Air offers one of the most powerful Android tablet experiences available. You won’t find any apps you can’t open and run without any lag here. Chuwi also culls out a few extra features you normally get with the really expensive, high end models. That means you get all the speed, but at a significantly lower price. If you don’t need extra features like a fingerprint lock, wireless charging, or included stylus, this model should be your top pick. There is one feature this unit has that others in our lineup lack, however — a dual SIM card setup so you can use it on your wireless plan! 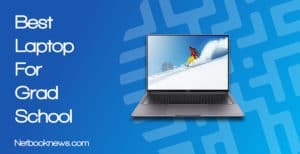 Note that with this level of specs, the Hi9 Air is also a solid contender for a great gaming tablet, although we love the next contender listed below just a bit more for that purpose. Want to play the latest gacha creature summoners, mobile FPS titles, and battle royale games? If you need comfortable hand design and plenty of speed, the MediaPad M5 is one of the best Android tablets for gaming! You get all three here with the MediaPad M5. With an 8 core CPU and 4GB of RAM, you won’t find any apps you can’t smoothly run. Plan on gaming for long periods of time? That’s no problem, because the rounded glass design is extremely comfortable to hold for hours at at time. With a full 2k display, you won’t miss anything and are guaranteed a crisp, clear, high definition gaming experience. This model has a quad speaker setup, so you get better sound for your games if you don’t want to use headphones. 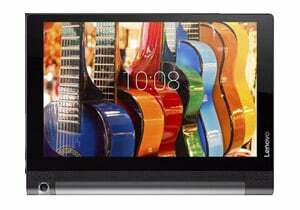 Need a quality portable device but don’t want to spend very much money? 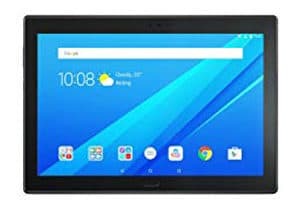 If you need to stick to a budget, the Yoga Tab 3 is our pick for the best Android tablet under $200 on the market. Want to jump into the world of mobile computing with a tablet, but don’t have hundreds of dollars just lying around? If you want a wide range of features and high quality specs at a low price, the Yoga Tab 3 will be your best budget Android tablet option. The big draw to this model is that the Yoga line features a small rotating hinge. 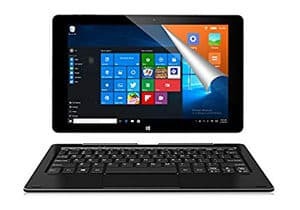 This low profile design lets you set the tablet in multiple configurations, but without the bulk of picking a full 2-in-1 device. Besides the movable hinge, you can even rotate the camera for the best possible angle when video chatting or taking pictures. This unit may not have the extremely high end 2k display of other contenders, but you won’t beat this price to spec ratio anywhere else. Like the idea of the iPad Pro, but don’t want to pay the high asking price? If you want a high quality design and an included stylus, the Galaxy S3 should be your best iPad alternative pick! 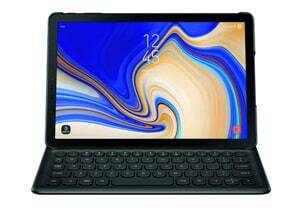 There was a time when the iPad was the gold standard for any tablet, but these days you can find devices that are just as high quality from other brands. If you want something on par with the iPad but prefer Android to iOS, the Galaxy S3 is one of your best options. The extremely high screen quality here is easily on par with Apple’s retina display, and you get a built in stylus for extra functions. With a fast CPU, brilliant colors, and four speakers, you get a very well rounded device that can do a little of everything. Note that the 32GB of storage space is a bit less than our other contenders, however. Make sure to save your work in the cloud or factor in the price of a microSD card for the best experience! 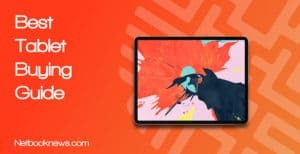 No matter what price you are planning on spending, you should expect a tablet that offers quick speeds and minimal lag when running multiple apps. Tablets may operate a bit differently than laptops, but you can still make your buying decision based on a series of basic hardware specs. For budget models, we recommend a minimum of 2GB of RAM or you will start to get missed frames and major speed reductions when playing games or browsing the web. If you want a top of the line experience, we instead recommend sticking to 4GB of RAM and a quad or octa core processor. Since the tablet’s screen is the component you will be interacting with most often, you don’t want to skimp on display quality. Since they tend to have smaller sizes, you can often get away with lower resolutions on tablets than with a full laptop. That being said, if you intend to streaming HD 1080p video through your favorite movie app, we highly recommend sticking with a minimum 1920 pixels resolution. The only reason to drop below that threshold is if you need a lower budget option, or if you are picking a much smaller 7” tablet. If you want the best possible viewing experience, it’s a better idea to go with a 2k screen. We’ve included several options with that display quality for the videophiles out there. A tablet will generally be held in your hands more often than other types of devices, so if there’s one feature to look out for, it’s a comfortable design coupled with low overall weight. Tablets come in many different form factors and build types, from plastic to metal to rubber. No matter what brand or model you are picking, we recommend sticking to around 1 pound or less for the most comfortable experience. Always be on the lookout for models that have additional comfort features included, like rounded glass that fits seamlessly into the metal chassis. With online storage space easy to find, storage capacity isn’t as important with a tablet as with a laptop, but you should still expect a minimum amount for storing your files. For an Android device, you should expect a minimum of 32GB of internal storage space unless you are picking a much less expensive model. We recommend a minimum of 64GB at this point to make sure you have room to save your PDFs, videos, screen grabs, and so on. Keep in mind that all of these models can take additional space with a microSD card, so you can bump up the internal storage fairly cheaply in most cases. Every manufacturer has their own quirks and extra options, so after comparing the basic specs, always be on the lookout for more features to get more bang for your buck! What specific additional features to look out for will depend entirely on your usage needs, but there are some options that are always nice to have. In general, we recommend picking a tablet that includes a stylus out of the box so you don’t need to buy one later. If you don’t have constant access to wi-fi, make sure to also look out for models that have a SIM card slot to work on your mobile carrier.